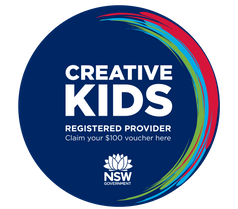 Miss Zoe's School Of Dance is a fun and vibrant dance school in Wollongong (since 2006) and opening in Kiama (since 2018) and will open in Coledale in 2019. It is non-selective (meaning no performance troupes) and caters for children of all ages (from 2+ yrs) as well as adults in the styles of hip hop, jazz, ballet, contemporary, and tap; as well as offering acrobatics, musical theatre, singing, Tiny Dancer Combo Classes, Preschool Fun Classes, Stretch n Fitness classes, musical theatre, and a non-performing dance classes for adults. We also offer private lessons. All students have the opportunity to perform at various fetes and events throughout the year, as well as a large end of year performance. The dance school runs its classes in 3 locations and offers the most affordable prices around. There is no registration fee and no expensive costume costs! Since its establishment in late 2006, Miss Zoe's has grown and grown, with more students enrolling each year. Over the years we have been involved in numerous community events and put on many successful concerts. This year we have been selected as a finalist in the 2019 Australian Small Business Champion Awards! 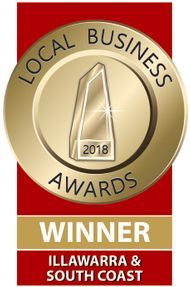 In 2018 we were honoured to win the Outstanding Dance Studio category in the 2018 Illawarra & South Coast Local Business Awards. 2018 also saw Miss Zoe nominated for Outstanding Business Person of the Year in the Illawarra & South Coast Local Business Awards. At Miss Zoe's our motto is "fun and fitness". There is no pressure in classes and everyone is welcome - you can join at any time of year. Miss Zoe's School of Dance also does birthday parties & has an off-shoot company Miss Zoe's Productions. Miss Zoe’s School of Dance aims to provide a fun and safe environment for children and adults of all ages and abilities to learn to dance through our inclusive philosophy. Through the support and encouragement of teachers students will develop and enhance their dance, drama, and singing skills. Students will develop self-confidence whilst keeping fit and healthy. Benefits of dance that have been clinically proven include increased coordination, flexibility and all-round improvements in fitness. The most important aim of Miss Zoe’s School of Dance is for students to have fun learning new skills and for them to make friends in the process! Miss Zoe's is non-selective meaning that every student has an equal opportunity to perform throughout the year and all students are accepted in all classes. Happy dancing!